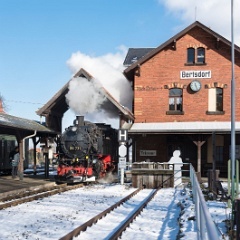 London to Dresden via Berlin. 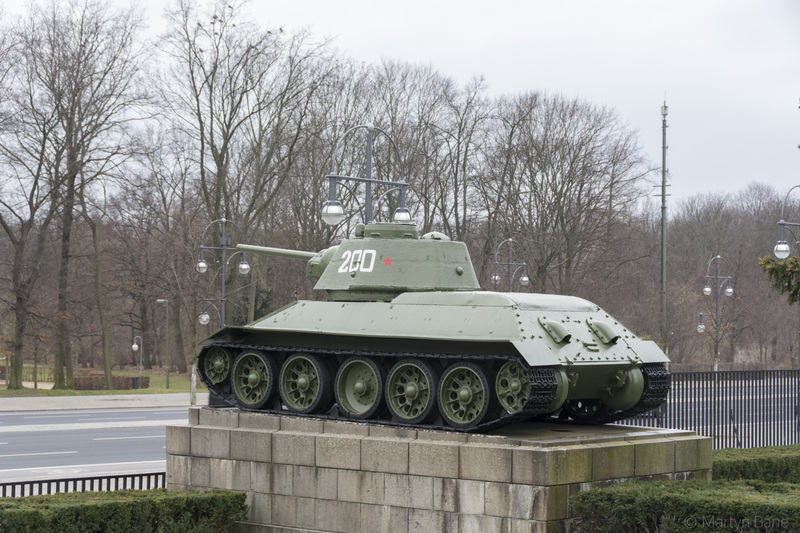 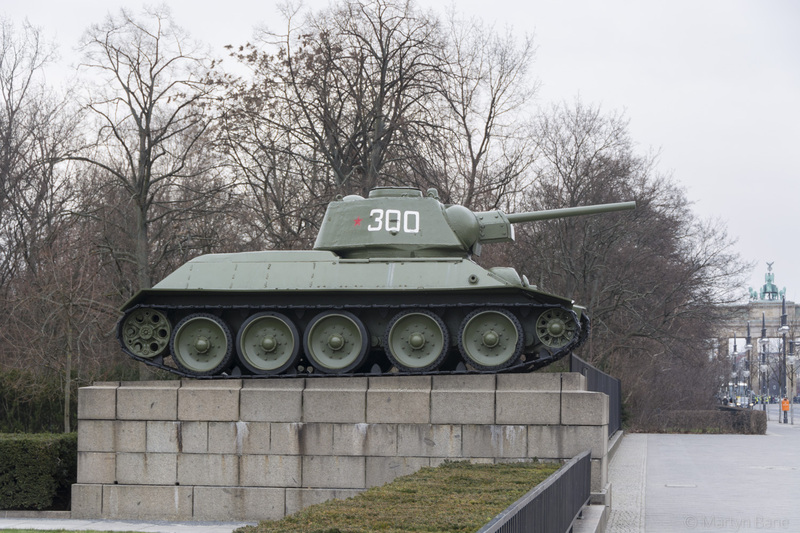 1 Russian T34 Tank at the Soviet War Memorial in Berlin. 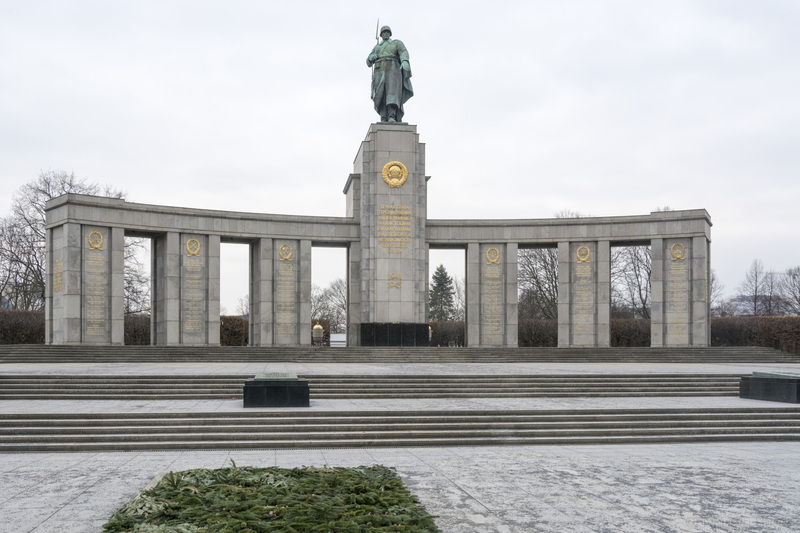 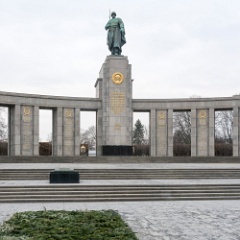 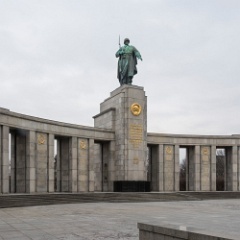 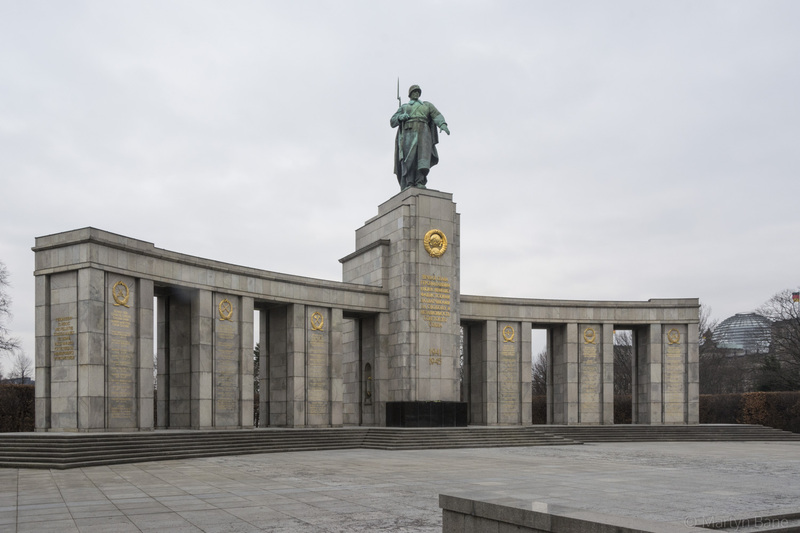 2 The imposing Soviet Memorial to WWII in Berlin. 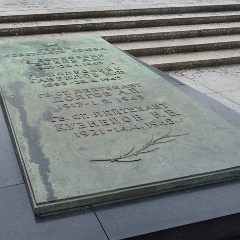 3 Bronze plaque at the Soviet War Memorial. 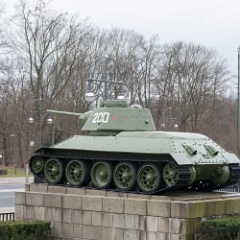 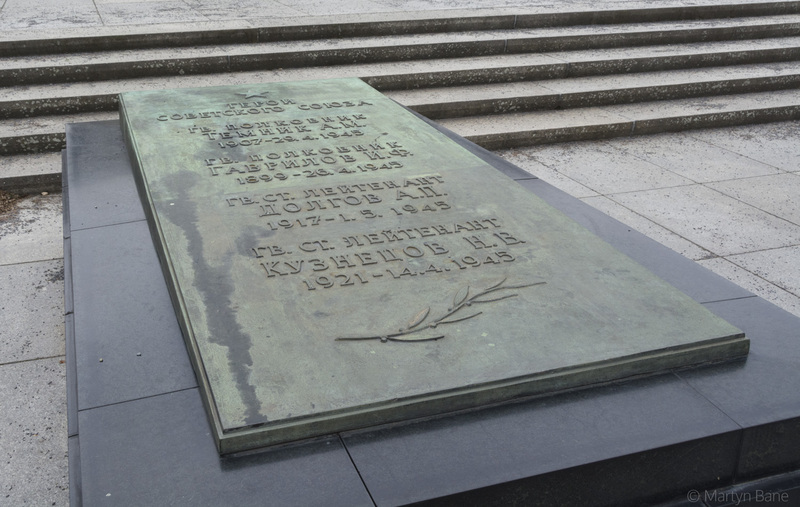 4 The Soviet War Memorial in Berlin's Tiergarten. 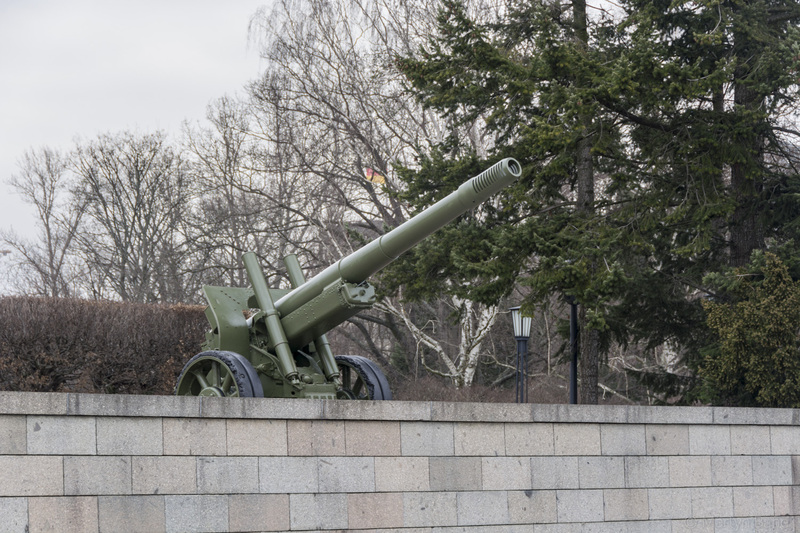 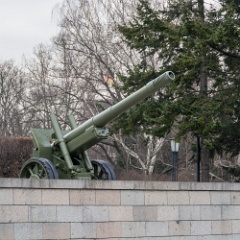 5 One of two Red Army ML-20 152mm gun-howitzers at the Soviet War Memorial. 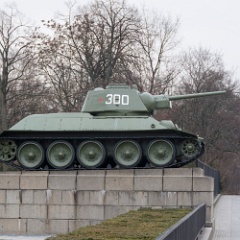 6 The other T34 tank at the Soviet War Memorial. 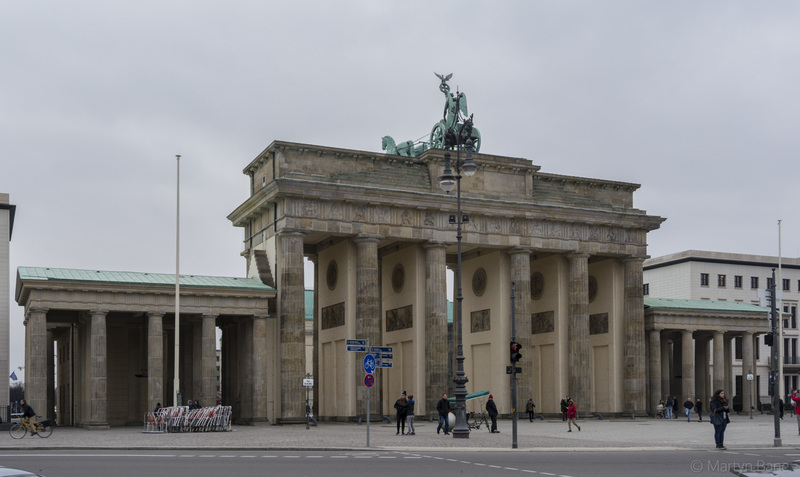 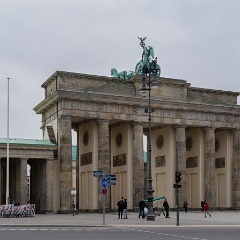 7 Nothing built in front of the Brandenburg Gate, for once!